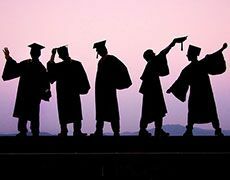 The MBA has become the most popular advanced degree in the United States, accounting for more than a quarter of all advanced degrees obtained, according to the U.S. Department of Education. This advanced qualification opens many opportunities for graduates, and knowing which professional path to pursue can be difficult. Discover some of the top career opportunities for MBA graduates. Information security analysts oversee their employers’ computer networks and systems, detecting and minimizing cyberattacks. The U.S. Bureau of Labor Statistics (BLS) states that many American companies look for candidates who have studied for an MBA in information systems or a similar field. The mean annual wage for information security analysts stands at $91,600, but with an MBA, you may be able to earn around $140,460, as the top 10 percent of professionals in this role do. Based on this figure reported by the BLS, the high potential salary makes security analysts a top career option for MBA holders. According to the BLS, job opportunities for information security analysts are expected to grow 37 percent between 2012 and 2022, which is faster than the national average. This growth is in line with an increase in the incidents of cybercrime around the world. The high expected growth and excellent earning potential led U.S. News & World Report to name information security analyst the hottest job for MBA graduates in March 2015. Personal financial advisers help people manage their financial affairs, including offering guidance about investment, tax, and insurance decisions. These professionals work in the finance or insurance fields, either for a company or for their own business. While you can work as a personal financial adviser without an MBA, this qualification can be your key to career advancement and high earnings. The mean average wage for this job is $108,090, but the top 10 percent of earners in this role make more than $187,199 per annum. With 27 percent projected growth, the BLS says job growth for this profession is faster than the national average. As America’s population ages and people live longer, they’ll increasingly look to the services of personal financial advisers to secure their retirements. With a growing number of opportunities, high salaries, and job security, these qualities make working as a personal financial adviser a top career choice for MBA graduates. As the population ages, the health care industry is also booming. Hospital administrators are professionals who plan, direct, and coordinate the medical and health services for hospital departments or whole facilities. According to the Houston Chronicle, many hospitals will hire only candidates with MBAs, as the role carries significant responsibility. The mean annual wage for hospital administrators is $103,680. The BLS reports that jobs in the sector are expected to grow by 23 percent, faster than the national average, between 2012 and 2022. According to MBA Healthcare Management, working as a hospital administrator is one of the best health care jobs for MBA graduates, with growing opportunities and salaries in these challenging roles. With excellent projected growth, competitive salaries, and great personal satisfaction, the above three careers are among some of the top career opportunities available to MBA graduates.